Speaking of non-linear things .. I noticed that your new song has an interesting title .. that is very close to the title of a Dylan song. Both songs approach the same, or a similar theme. 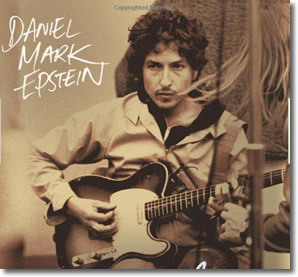 The song even begins with Dylan-like guitar riffs. And your vocals contain a definite country feel. [ You are from Texas, no? They say that Texas girls know how to take care of their men. When you sing the words, "had enough" .. you sound like you have really had enough. Very believable. Continue reading The Dark Side of the Morning - Part Two. » Do Women Enjoy Being Pursued by a Man? Maybe I should start by saying that Charlie Rose seems like the most mild-mannered man .. does he not? He seems nothing like a Harvey Weinstein. The reason why Charlie's statement struck me is because there is the idea out there that women WANT TO BE pursued .. that they LIKE to be pursued and perhaps NEED to be pursued .. in order to feel comfortable with a man, romantically speaking. There is also the idea out there that women will even "play hard-to-get" .. in order to see just how much a man really wants her. How much he desires her. 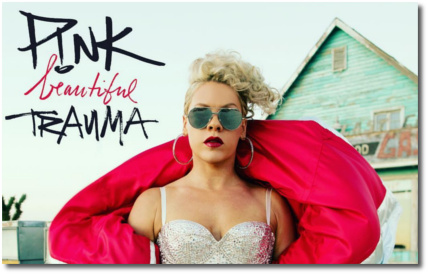 Notice the lyrics in Pink's new song, Beautiful Trauma » I made you chase me; I wasn't that friendly. Continue reading Aggressive and Predatory Approaches Toward Young, Sexually-Attractive Women - Page Two. » Can You Feel It Coming? On the subject of change .. have you seen Jared's video » Walk on Water (Nov 8, 2017) ? Because the lyrics scream » "Times. Are. Changing." Times are always changing. This is nothing new. Sometimes times change more slowly, and sometimes (like now) they change fast. But times are always changing. Speaking of times changing .. here is probably where I should welcome you to the New Age. Speaking of the New Age .. did you know that .. as physicists learn more and more about the nature of our (physical) universe ..
.. they have discovered that what was once seen as being two separate things .. are actually different parts of the same thing? Such as is the case with » spacetime. In other words, the more we come to know, the more we can see that things are more connected than we thought. 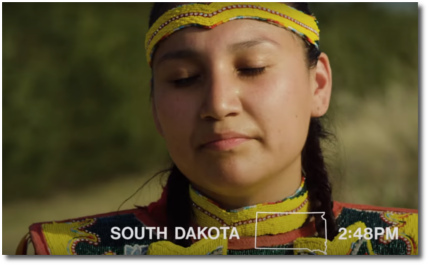 This is why I chose this particular image taken at 2:48 PM in South Dakota .. because this person says, "We are all related." Certainly we are all part of the same species » homo sapiens (thinking man, wise man, and sometimes devious man). Continue reading Times are Changing. Continue reading Aggressive and Predatory Approaches Toward Young, Sexually-Attractive Women - Page One.